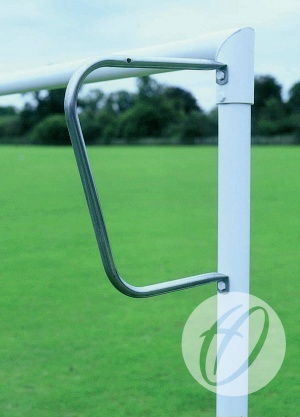 Tubular steel net supports designed for use with round heavyweight mini soccer goals. Manufactured from 25.4mm diameter x 1.6mm thick tubular galvanised steel. Q: What are the hole centres of the net supports? A: The hole centres of the net supports are 500mm. Q: What are the hole sizes?